Many online poker sites offer perks and extras; but it’s hard to find a site that offers as much as William Hill Poker. With a wide range of games, lots of generous bonuses, interesting and exciting promotions, and, most of all, loads of great tournaments, William Hill is a one-stop, all-inclusive poker site that will quickly turn into the only poker site you’ll ever need. Tournaments are at the heart and core of Poker.WilliamHill.com. Discover all the guaranteed tournaments by William Hill Poker, up to $250K, which are simply unparalleled on the Internet today. There are weekly tournies, like Friday’s $50,000, Saturday’s $30,000 and Sunday’s massive $200,000 tournaments, plus Monday night’s Omaha. There are jackpot Sit & Go tournaments and the all-important Steps Tournaments, which give everyone a chance to climb the rankings to poker fame and fortune. Win a bundle, have a ball, and find endless thrills at William Hill Poker. Online NL multi table poker tournaments have become immensely popular over the last couple of years, mainly because of televised events such as the World Poker Tour and the WSOP (World Series of Poker). There are many who enter these tournaments for a chance at the “big win”. There are three stages in a tournament, this is how you should be playing them. 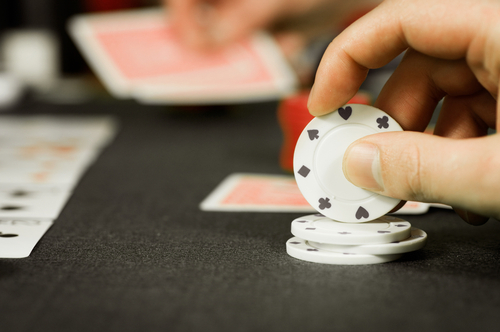 Keep your bluffing to an absolute minimum, you want to keep your stack high. Remember that in the early days of the tournaments there are no prizes for losing. That being said this does not mean that you should fold every hand until getting into prize positions because the blinds will end up killing you. Just make sure you aren’t taking too many risks, if someone calls you all in pre-flop and you have pocket Aces than go for it but don’t fall into the trap of raising or calling too much on poor quality cards just because you are pretty sure the other player will fold. This is the stage of the tournament where the blinds are going to start getting of reasonable size and you will need to adapt. You can actually survive here by stealing the blinds. You can also, if you are the big stack bully of the table call other players all in with decent cards as they stand to lose everything where as you can survive the hit, just make sure you pick your moments wisely. This is where the tournament is getting to the end, the blinds are very high and there are going to be a lot of coin-flip decisions that may seal your fate. Because of the fact the blinds are high it is often a good idea to go all-in preflop but you will only want to do this with a pocket pair or Ace / High Card. Once it gets to the final table you can use a lot of your general one table poker strategy here. While most online poker players are familiar with the standard Texas Hold’em poker game, there are actually quite a few different games that online players can experiment with, each of which requires a different strategy and knowledge of different set of rules. 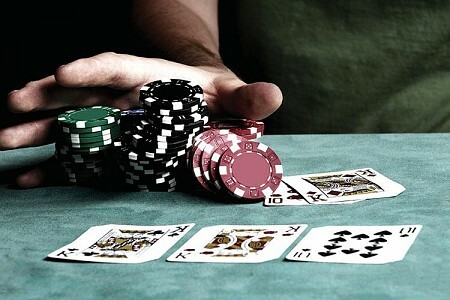 If you would like to try your luck in an alternative poker game than Texas Hold’em, visit Pokermira.com which offers its players quite a wide range of various poker games. 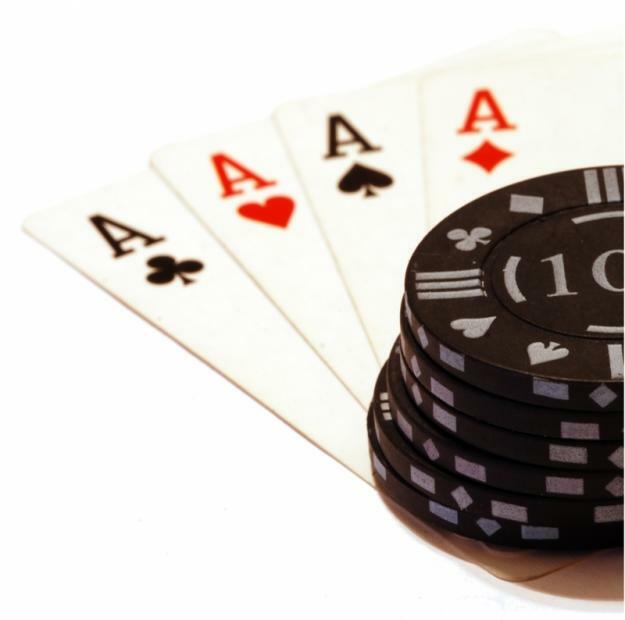 As previously mentioned, Texas Hold’em is the most popular online poker game. 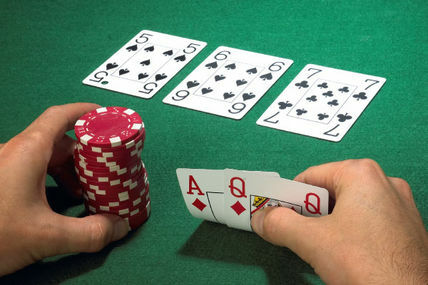 In Texas Hold’em, players are dealt two hole cards and must combine one or both of these with any of the five community cards to create the strongest five-card hand. Players play for a pot that is won at the end of each round and must use strategic decision-making and betting skills in order to win. Similar in several respects to Texas Hold’em, the Omaha Hold’em game involves combining exactly two of your four hole cards with three of the five community cards to create the best hand possible. 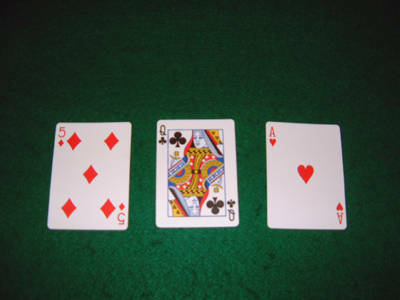 Unlike in Texas Hold’em however, players cannot use more than three cards from the community cards to complete their five-card hand. Omaha Hi/Lo operates by the same betting, blinds and postings rules as the former, however the pot is split between the holders of both the highest and lowest hands at the end of the round (where a ‘low hand’ is comprised of five different cards, each of which is lower than 8). If you want to make money from your ‘bad’ hands, you may want to try your luck at Razz. A hybrid variant of lowball and 7-card stud, the aim of this particular poker game is to create the best five-card low hand from a total of seven cards. Once more popular than Texas Hold’em, Stud Hi (or 7-Card stud) requires a combination of strategy, skill and memory. 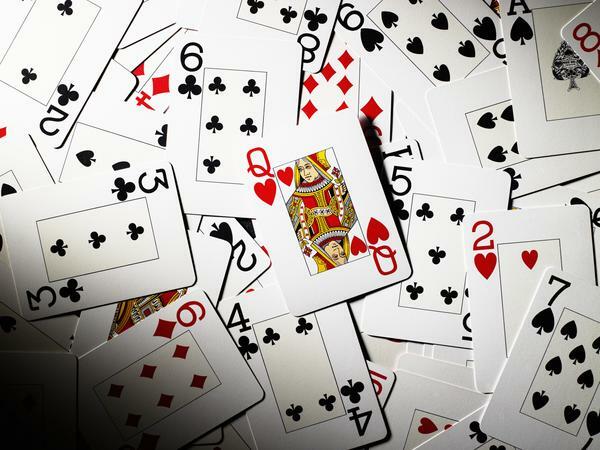 The aim is to win the pot by making the best five-card hand from a total of seven cards. 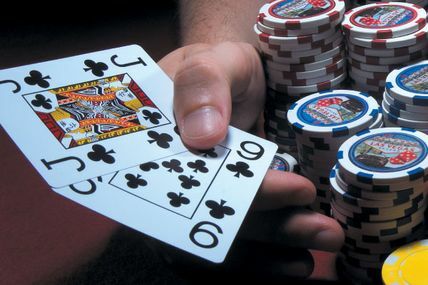 Players start with two hole cards and one upcard and can bet after each of the subsequent three rounds of upcards and the final round of downcards. Another formerly dominant variant of the game, 5-Card Draw is a variant of draw poker that allows players to drop any of their five-card starting hand and draw new ones. 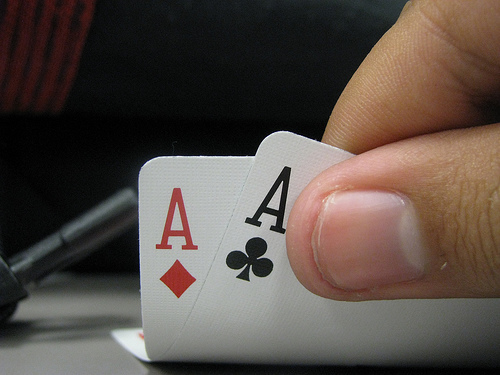 Similar to Hold’em variants, the aim is to make the best five-card high hand. Though Texas Hold’em is undoubtedly the most popular variant of online poker, there are many other formerly popular variants that are worth a try. Most differ in terms of betting rules and strategy, so whichever variant you choose to play, make sure you brush up on your research beforehand. If you’re already learning about poker types, then the loose aggressive player is probably the one that scares the daylights out of you. You want to believe that you can beat them but they seem to do so well in the short term. They make a lot of money taking your chips, but that doesn’t mean that you have to let them get away with it. Here’s how to get back at those pesky LAGs. As always, keep in mind that your strategy is really going to depend on how you’re playing, who is playing with you, and what the stakes are. Don’t take any strategy as something that has to be set in stone. You just can’t afford that type of rigidity in poker. You’re going to need to adapt. This is designed to give you some basic advice that you can modify based on what’s really going on at the table. So, who is the LAG, really? He (or she, we’re not sexist) is the guy (or gal) who is constantly playing just about any two cards that they can think of. Even 72o isn’t a bad card combo for them, and that’s one of the lowest starting hands that you can have. The LAG is in every single pot that you can think of, and they love bluffing. They take down the pot based on aggressive betting; because other people at the stable are too scare dot take this guy on. It’s all about making sure that you can take on the maniac, because there are plenty of them out there. They’re going to have no mercy when it comes to your chips, so why should you go soft on them? Think about that. There are a few things that you want to avoid when it comes to this type of player. For starters, you really don’t want to make the continuation bet at all. It’s really better to avoid it because this is not a player that’s going to fold. They can’t even imagine it. The continuation bet is going to be a waste of money. If you want to make this player fold, you’re going to have to go all in. They will even go all in at times, especially if they can just rebuy into the table. They figure that they will eventually come out ahead in the long run. By the same token, you don’t want to bluff this type of player. They don’t respond to things like that. They will call and even raise no matter what type of action you’re bringing to the table. So the idea of actually getting this player to back down just isn’t going to happen. They’re going to hang onto those last chance rivers for all they’re worth. The times that they actually are right, they’ll pat themselves on the back and think nothing of their strategy. But you have to make sure that you’re not thinking of only them. You have to think about the pot odds as well. Sometimes it’s really not in your best interest to keep playing. As much as your ego will tell you otherwise, you need to make sure that you’re folding at all of the appropriate times. You also don’t want to try to read this type of player. You’re not going to get a good read — that’s the secret stretch of the LAG. They know that they’re tough to read because they’re always mixing it up. If the board looks scary, then your mind is going to tell you to fold and give the LAG the victory even when he was holding a garbage hand. If you can, you can sit to the left, which lets you act only after he makes a move. This lets you see what he’s going to do — if he raises, you can limp in if you have a hand worth playing. Otherwise, you can fold and save yourself some chips. The very worst thing that you can do when it comes to a loose aggressive player is start giving into your emotional side. You can get angry as you want, but it’s not going to help you win. If anything, it’ll decrease the chances of you actually winning anything. That’s how bad anger is in the world of poker. The maniac knows exactly what he/she is doing to your mental state and they’re going to rub it in. 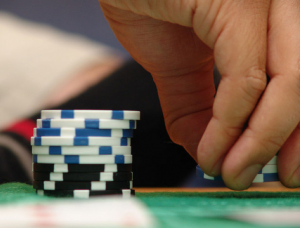 Remember that poker is competitive — your chips are at stake. If you’re really that affected then you definitely want to head back to something other than poker. You have to stay profitable long term. LAGs can be overcome with strategy and flexible thinking. If you give in to the side that says you’ll never beat this type of player, guess what? You won’t, but they won’t care. They’ll go on to other tables, take other players’ chips, and not think twice about you. Tough break, kid, but that’s poker. If you can play tight and get aggressive back, you’re going to make sure that you push. A lot of players are afraid to get aggressive, and this is where the LAG thrives. You can cut him off at the knees by making sure that you aren’t afraid to raise. At the end of the day, as long as you don’t bow down to the LAGs of the poker world, you’ll eventually earn their respect. Not everyone is going to be able to win each and every hand. Take solace in that if you’ve been burned by the LAG. Maniacs can be hard to control but do remember that every type of poker player has weaknesses. As long as you keep that in mind, you will overcome this player in the world of poker.